Are you sabotaging your diet? You might. I am not talking about not following through with your weight loss plan. I am talking about the things you do to mess up your efforts mostly because you don’t know how they impact your plans. To make matters worse, most are not even aware how simple, everyday rituals or habits can destroy your program. Dieting is never just about healthy eating. It’s not about eating vegetables or exercising regularly. It’s not about what you do, but how you do it and when. It is also about the bad habits you have. For those who are struggling to lose weight, it is usually about not having enough information. It’s frustrating if you don’t see the results you are expecting. The problem is that you are thinking you are doing all the right things. If you feel like you keep sabotaging yourself, you need to dig deeper and learn why. This article will help you find more information about the ways you can sabotage your diet, preventing yourself from reaching your goals. Were you hungry before I asked you this question? Are you perhaps hungry now? Yes, that’s a good question, don’t you think? The feeling of hunger is different for everybody. You are experiencing hunger differently in different situations. Sometimes (read: often) the smell is a trigger. Other times, the deliciously prepared food can lure you to take another bite even if you are not hungry. You just think you are. So, when your stomach starts growling, is this a sign of hunger? Probably. Often we are not certain whether we feel hunger or thirst. 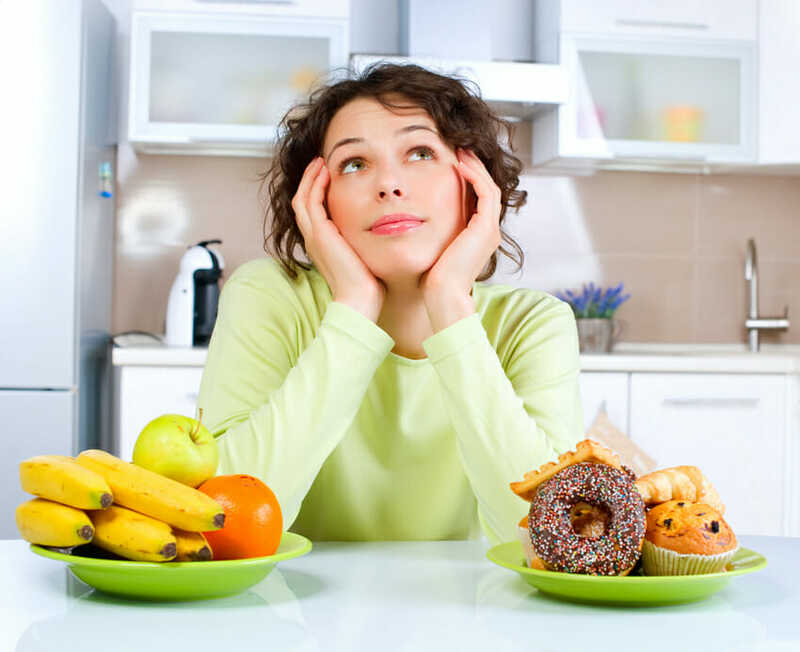 Many factors impact the decision to eat: smell, sight, the social aspect, boredom, emotional stress, and more. And this is a huge problem for everyone who wants to have a balanced diet. How does being hungry in fact feel like? Hunger is a learned response and a biological instinct. What happens in our organism? First, hunger hormones in our blood (and an empty stomach) send signals to our brain informing it that we need food. After a meal, nerves in the stomach send signals back to the brain that we have had enough food. The trick? It takes around 20 minutes for the communication between the nerves in the stomach and the brain to happen. The problem? When the brain receives the message, you might have already eaten too much. The solution? Listen to your body – carefully. Eat when you are hungry; not because it’s a particular time of the day. But, what if you cannot interpret the body signs? You can learn more about the sign of hunger and thirst. What are the signs of hunger? Or better, how can you tell if you need food? The first thing to think better of is the mechanics of digestion. You might believe you are hungry two hours after lunch, but you are usually wrong. Factors like your lifestyle and choice of food directly affect the way the digestive system breaks down the food into nutrients. Unhealthy food interferes with the usual processes of the digestive system. When did you eat lunch? Did you eat a dessert? Try to think how long has it been since your meal, and take into consideration that the food is digested in around six to eight hours. Moreover, the digestion time also varies between men and women. How are you feeling? Are you bored, stressed, anxious? Certain emotions can trick us to perform certain actions that are supposed to compensate for our emotional or mental state. We know emotions can provoke a desire to eat, but be careful, and skeptic, and always question the emotional state you are in. Moreover, try to find a solution to your discomfort or anxiety, and do not seek comfort in food. Test whether you feel hungry or thirsty. Drink a glass of water and wait for 15 minutes. If you can hear your stomach grumbling, you are not thirsty. If the water satisfies your need, you were, in fact, thirsty. Water can help to maintain our balanced diet or lose weight significantly. Always keep your body hydrated. Some symptoms of dehydration include a headache, nausea, dizziness and dry eyes. Read more about the importance of having your body hydrated. Finally, don’t starve. You should not ignore the well-known hunger signals. Alos, don’t get overly hungry, it can only help you make bad food choices and be bad for your digestive system. Take a few minutes and question whether you are hungry. Are you using a diet tracker or a fitness tracker? It seems that technology can deceive us and in fact, help you to gain weight, and not shed pounds. A two-year study analyzed the effects of diet and fitness trackers, and the results are intriguing. People who used wearable fitness trackers didn’t, in fact, lose weight, the study showed. Moreover, it seems that overweight dieters gained more weight on average than participants who used traditional dieting methods. Researchers were surprised as no clear evidence pointed out to why the trackers seemed to sabotage the efforts to lose weight. But how in fact trackers work? The idea of the trackers is mostly to tell you how much calories you have burned. Bur here’s the twist that can hold you back from losing a few pounds – if you move more, you can eat more. The problem here is that calorie calculations can be inaccurate. While it can help you know how many calories you have eaten, it does not mean it can assist in determining – precisely – how many calories you need to burn. You can use diet trackers to get the whole picture on how many calories you are eating, but don’t rely too much on the tracking part. Activity trackers are also an excellent way to have a grasp of how active you are. However, don’t underestimate the data you can get from these gadgets. Some apps can help, and if you use the trackers separately, you can get great information. To sum it up: research about the pros and cons of every app or tracker you intend to use.